I confirm that I have read and I agree with the Declaration and Agreement . Your details have been successfully submitted. Our customer service representative will be contacting you soon for an appointment. savings with no holding period. Deposit at least RM500 every month. Set this account as your salary crediting account. Or set a recurring fund transfer from other bank account. 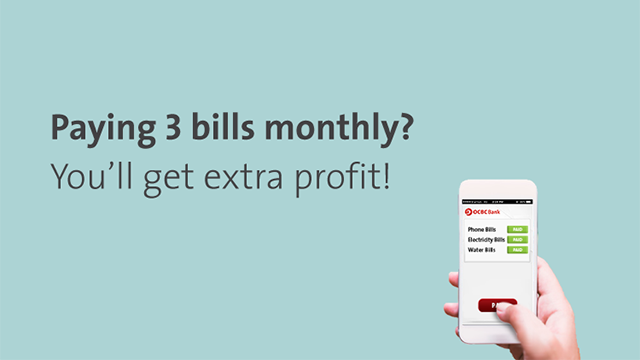 Pay at least 3 bills online every month. Bills include your credit cards, loans/financing and monthly payments with OCBC Bank/OCBC Al-Amin or other banks. Spend at least RM500 on your OCBC Al-Amin Debit Card-i every month. Continue to enjoy your OCBC Credit Card benefits. Profit of 4.10% p.a. is applicable on your first RM100,000 balance and will be paid by the 14th business day (not including Saturdays, Sundays and public holidays) of the following month. Only one (1) account is allowed per customer and with a minimum deposit of RM500. Bills include your credit cards, loans/financing and installments with OCBC or other banks. The amount calculated is on a per month (31 days) basis and is for illustration purposes only. This deposit is an eligible deposit insured by Malaysian Deposit Insurance Corporation (PIDM). PIDM insures eligible deposits for up to RM250,000 per depositor per bank. 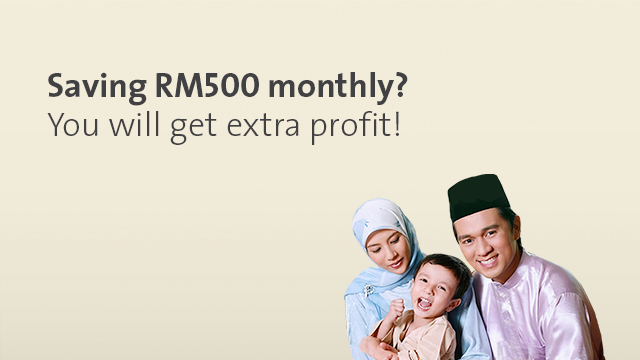 The RM250,000 limit includes both the principal amount of a deposit and the profit / return. Islamic and conventional deposits are eligible for a separate coverage limit of RM250,000 each. For more information, refer to the PIDM information brochures that are available at our counters or go to the website at www.pidm.gov.my.